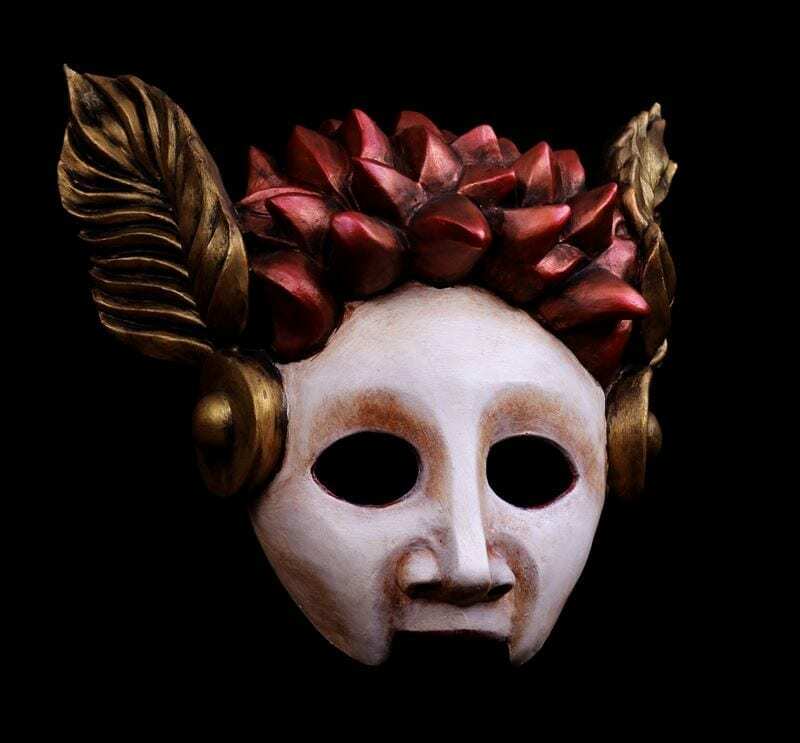 The God Mercury half mask was created for the Play Amphytrion by Moliere. Mercury is young and sly in spirit. He transforms himself into Sosia causing much consternation and discord. Don’t be fooled by the simple expressive quality of this mask in the photo. He is quite wily. The God Mercury is the god of luck, trickery and thieves. He is often seen as a guide to those passing to the underworld. He is the bridge in his eloquence and knavery. The mask is sculpted as a single piece and features Mercury’s golden wings. It is light weight and very durable. The mask held to the head with a nylon strap with an adjustable cam buckle. The Mercury half mask is an excellent mask for use in greek theater as a god or a hero character.